Adult Onset Diabetes (AODM), sometimes called Type II Diabetes, refers to a situation where the body cannot secrete enough insulin to keep sugar at a healthy level. How does that work? Circulating blood glucose (sugar) is tightly regulated by a tiny brain called the hypothalamus. All vertebrates, including us, have these tiny brains. It’s the size of an almond and right in the center of your skull. By regulated, we mean that the hypothalamus will make adjustments to attempt to keep glucose at an ideal level of 80 mg/dl. That level is equivalent to about a teaspoon of sugar in your 5 liters of blood. Not much, but critical. If it falls much below this, a coma can result. If it rises above this, it will typically be stored as fat. If it rises and stays above this level, i.e. chronically elevated, a variety of undesirable health implications kick in. If it is high enough, Adult Onset Diabetes results. In the extreme even coma and death can result. This is more common in Type I DM but can happen in the late stages of AODM. So how does the tiny hypothalamus make adjustments to regulate the sugar level (or try to)? If you eat something with a high sugar or starch content, such as a soft drink (or hard one), or some bread, a bagel, corn, or rice, the sugar level in your blood will soar. High levels of sugar are dangerous. More on that in a minute. Upon detection of excess sugar, the hypothalamus will call upon cells in the pancreas to secrete insulin. Insulin brings the sugar down by ‘forcing’ it into cells to be used as energy, or if the cells are ‘full’, forcing it to be stored as fat. Now here’s a very important point: All starch counts the same as sugar. It is quickly converted to sugar in your intestines as part of the digestive process. Eating that delicious slice of French bread is metabolically equivalent to eating the same weight of pure table sugar. OK, so far, so good. You ate sugar or starch, and the insulin level rose and drove it into the working cells or into the fat cells, and then subsided. Everything is back to normal. Now suppose you eat a large amount of sugar or starch. The glucose level rises, and the insulin level rises in response. But soon the cells are ‘full’, and won’t take any more. This is a rather serious situation resulting in something called ‘insulin-resistance’. The cells are ‘resisting’ the insulin’s attempts to ‘deposit’ the sugar. Since the glucose level isn’t dropping, the hypothalamus orders more and more insulin to be secreted, but there is a limit to how much the gland can generate. It maxes out. And when it does, the glucose level goes up and up resulting in Adult Onset Diabetes. In men this was first described as Syndrome-X by Dr. Gerald Reaven. We now have a system so overloaded with glucose that it can no longer regulate. Then the liver gets into the act, and starts converting a lot of the excess sugar into less dangerous circulating fat, called triglycerides. This level then rises as well. There are three important biochemicals all soaring out of control: glucose, insulin, and triglycerides. The Adult Onset Diabetes diagnosis is based on three rather related glucose measurements, one after a test injection of glucose, one after a 12 hour fast, and the third being the 24 hour average, obtained indirectly. If all three are high, the diagnosis is positive. However, if the glucose measurements are high, it is a near certainty that insulin and triglycerides are too. No need to guess though, they are easily and inexpensively measured in the same test that measured the glucose. But glucose is the normal determinate for diabetes. How high is high? Normal fasting glucose is ideally 80 mg/dl, but should be under 100. An Adult Onset Diabetic would be above 125. Normal average glucose measured by the A1c blood test would ideally be 5%, but should be under 5.7%. Diabetes would be diagnosed if above 6.5%. In between these levels, a person would be considered ‘pre-diabetic’, which sounds ominous, but unlike pre-teens, who invariably go on to become teens, the pre-diabetic condition by no means leads inevitably to diabetes. An Adult Onset Diabetic may be well over the minimum levels. A fasting glucose of 150 and an average glucose of over 8% would not be uncommon. As noted above, insulin soars and is kept at a high level. This greatly increases the risk of cancer. Triglycerides (circulating fats) also soar and remain high. This greatly increases the risk of heart disease. And the high glucose associates strongly with dementia. It is hard to imagine a gloomier set of prospects. In some beautiful scanning electron-microscopic work you can actually see all of the excess fat and glucose ‘gumming up the works’ of the exquisite little engines, the mitocondria, that make everything work. There is no genetic predisposition to Adult Onset Diabetes, but there is a genetic predisposition to needing healthy food and an active lifestyle. We have everything backwards by the time we blame our genetics for being incompatible with an unhealthy life. One way or another genetics is not the whole story by any means, and any arguments that a person is stuck with it because of his or her genetics should be summarily dismissed. Likewise, Adult Onset Diabetes need not be a lifelong chronic disease. It can effectively be beaten. The solution is to simply remove the glucose overload. This is a cure. Of course, this is a lot harder than it sounds. More about that in a moment. It can be done though. 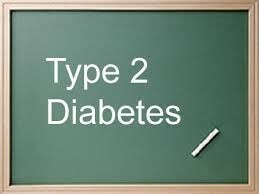 In my practice I have had well over 200 people that were diagnosed with Adult Onset Diabetes. My recommendation in all cases was to cut sugar and starches completely, undertake a vigorous, but not necessarily time consuming exercise program, undertake some mind quieting or spiritual activity, and get a good nights sleep. This worked for everyone that stuck to in, and worked fast. For the compliant, a 100% cure rate. Not everyone was compliant, so it is definitely not easy, but consider the alternative. Adult Onset Diabetes is aging in the fast lane and leads to an early death or a lingering and infirm old age. How Long Would This Cure Take? Let’s suppose the patient is compliant, cuts all carbs and sugars, and undertakes the above recommendations. If that person were just over the thresholds for diagnosing diabetes at six months they would probably have recovered all the way. They would need to keep a close watch (quarterly) on at least their glucose, insulin and triglycerides. You would need to monitor A1c too. For some, insulin and triglycerides might be more reactive early warning alarms than just the glucose. It would take longer for more severe cases, sometimes a year or more. However, it will almost always work. How Hard Would This Be? Considering our same diabetic, fully compliant with the above, the following would be expected: Anywhere from 5 to 12 weeks, he or she would still likely crave carbs. The reason for this is simple, and it goes away. The body’s cells have two modes of metabolism, carbs or fat. If one source is prevalent, carbs in the case of the diabetic, the other mode is suppressed. It takes a few weeks for the cells to adjust and go into fat burning mode. That can be a tough time. However they will adjust. I have never seen this fail for those that applied the right dose of will power. Once they do finally adjust, starches and sugars no longer taste all that good, so it’s pretty easy to stick with it after the initial few months. I’ve had more than one of my former diabetics mildly mad at me because their old favorite foods no longer taste good to them. This is a point of major confusion. Many obese people are not Adult Onset Diabetics, and many Adult Onset Diabetics are not obese. There is a relationship, but it is far from 1 to 1. If someone is obese, but their glucose, insulin, and triglyceride levels are normal, then they are not at risk. And the non-obese person may well be at risk. In fact, some of the sickest people in my practice are some of the skinniest. It is all about managing the circulating blood markers: glucose, insulin, and triglycerides. Cutting out the starches and sugar, and sometimes the alcohol, will bring all three in line. And that is a matter of decision and discipline. Will power. Surround yourself with those who support your new lifestyle; your friends and family can sometimes be your biggest barrier to long term success. Since the body cannot generate enough insulin, why not administer more with shots? Absolutely terrible idea. Chronically high glucose, chronically high insulin, and chronically high triglycerides are all dangerous, each in their own sinister way. Raising one even higher in an attempt to lower another is no solution at all. In fact, studies have shown that Adult Onset Diabetics that have received insulin therapy alone got cancer 50% more frequently. The fuel is glucose. Remove that, stick with it, exercise, de-stress, and sleep well, and the problem will solve itself. account it. Look complicated to far added agreeable from you! Enjoyed the article. Very interesting. How do we protect our kidneys from a low carb, high fat diet? My friend had “ketone breath” when she was on the Atkins diet. Hi Nan, there is a lot of misinformation about the deleterious effects of low-carb, high-fat diets on the kidneys. The short answer is you do not need to protect them from such a diet, but you do need to protect them from a high-carb diet. The more carbs, the more sugars, the more glycation, things malfunctioning because of sugars attached to them, which will harm the kidneys. Ketone breath is very real and not pleasant. I do not advocate a ketogenic diet. Nan, why would you imagine a low carb hi fat diet would be harmful to the kidneys? There is no evidence anywhere to even remotely suggest that a healthy kidney will be harmed by LCHF. Likewise there is nothing wrong with ketone breath. Most people wakeup after a 10-12 hour fast with ketones on the breath. It stops as soon as you eat some carbs, usually crappy cereal or bread. I have been LCHF, ketogenic, for about 7 years now and at 58 am healthier than at any time in my life previously.